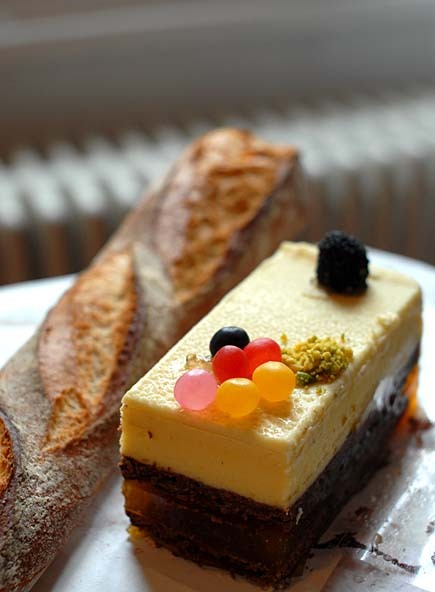 The pastry above is layered with chocolate pastry cream, flan, and on top, a very whimsical patisserie (pastry shop) in the Marais district in Paris has placed jelly beans, candy blackberries, and a little pile of minced pistachio. 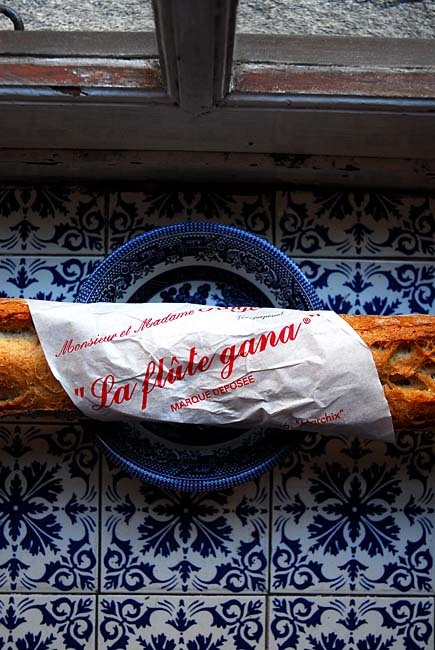 For some reason, I seem to find the need to put a baguette in every picture. … and I hope it is lost on no one that this picture also captures a John Barrymore Pletzl, the savory onion flatbread from Eastern Europe (click here for our recipe). 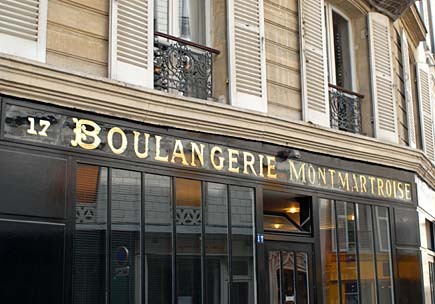 I suppose the Parisians don’t call it that, and I continue to await Drew Barrymore’s response to my open question: Why did my grandfather name this bread after your grandfather? That was all I saw. Really. 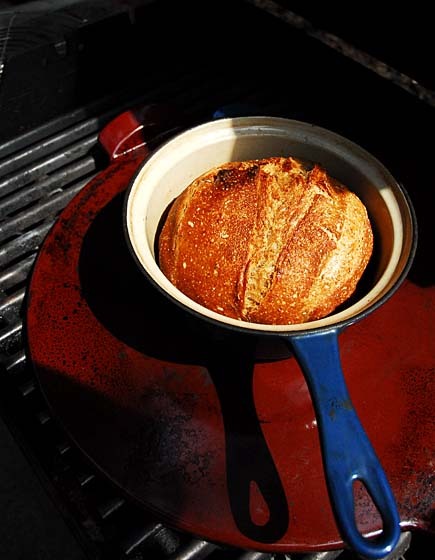 I have a hard time keeping my grill below 450 so maybe mine is perfect for the bread? I’ve made fantastic loaves on there using your method. So fun! I had to laugh about the tour de france! 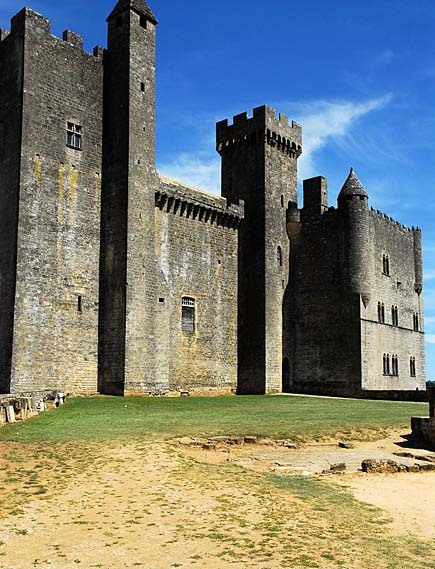 We went over the France and followed the bike tour for 1 week several years ago. The first stage we saw, we were amazed by how quick they came and went. Fortunately the caravan comes before them, making the entertainment last longer. We got smart and stationed ourselves on hills or at the start for the following stages! Quite a bit OT…Have you made lard bread (aka prosciutto bread or ciccioli bread) from the 5 minute dough? This type of bread is probably Italian-American and seems to be specific to the NY/CT area. I’ve managed to get a good amount of prosciutto ends and want to give it a go but I would appreciate the benefit of experience, if you’ve made it. Which basic dough would you recommend, and at what point should I add the prosciutto and pepper? Thanks. Assume you mean 100% rice flour. We found that we needed to use a combination of flours to make these work, and the eggs really help lighten it up. The Gluten-Free Olive Oil bread in chapter 9 of the 2nd book might meet your needs though; use egg substitute (flaxseed and water; see http://artisanbreadinfive.com/2010/06/01/gluten-free-baguettes-egg-free-and-a-king-arthur-gluten-free-flour-giveaway). Or maybe even the recipe on that link. I have that book and I assumed that I would use the olive oil dough, sans sugar. (Btw, is there any particular reason that dough has sugar? Otherwise it’s identical in liquid:dry proportions as the master recipe.) 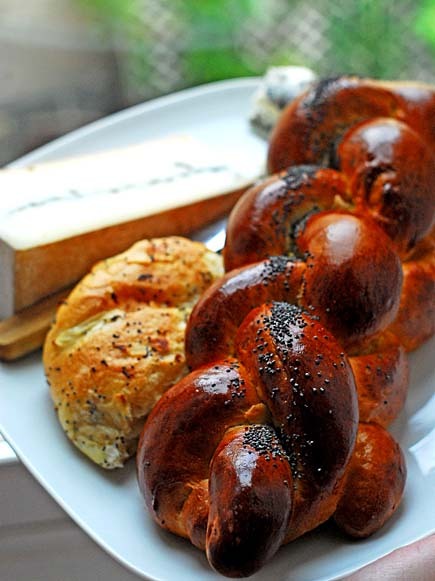 I’m going to do a couronne, so I’m guessing that I should add the pepper along with the flour, etc for even distribution and “knead” in the prosciutto after forming the dough into the ball. Make sense? Wife and kids devoured them. Thanks again! Awesome Brian, thanks for letting us know! when you write “the book” which of the books do you mean??? I just got the book Artisan Bread in 5 minutes a Day. Does the dough need to be stored in a plastic container or is glass okay also? Glass, stainless steel, crockery— all great. I am interested in purchasing your “Healthy bread in 5 minutes a day” book but I wanted to ascertain first if the recipes (or the bulk of them) are vegan. Can you let me know? 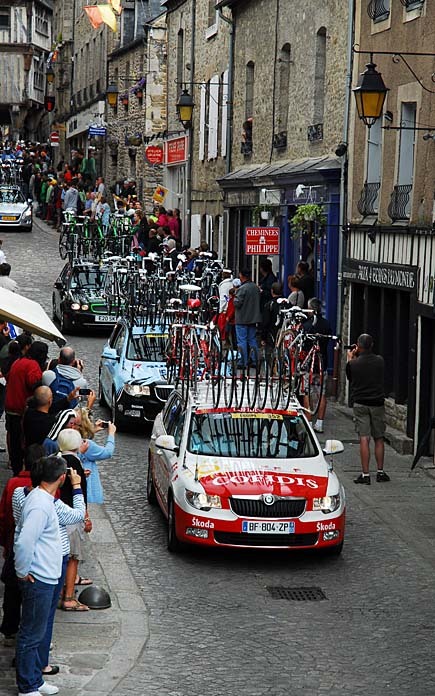 Lucky you to be there during the Tour…we spend three weeks in July watching daily. 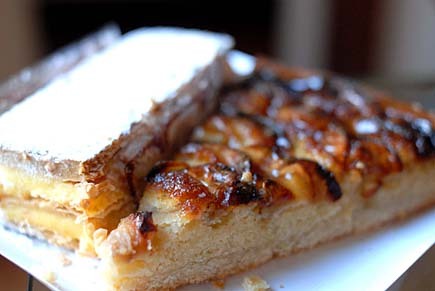 And about those pastries, yum…any recipes available for those on Zoebakes?? Just finished a batch of brioche made into buns, pecan caramel rolls, and a loaf…so good. I can hardly wait for the pizza book. We just got home from Ireland with a recipe for black bread. I wonder if that could be adapted to the Bread in Five? Zoe, My husband is from Europe. We’d like to make some good European style pastries. Do you have some suggestions of a good cookbook that would tutor me in making some of them? I am not familiar with either of these recipes. I will have to do a little research.